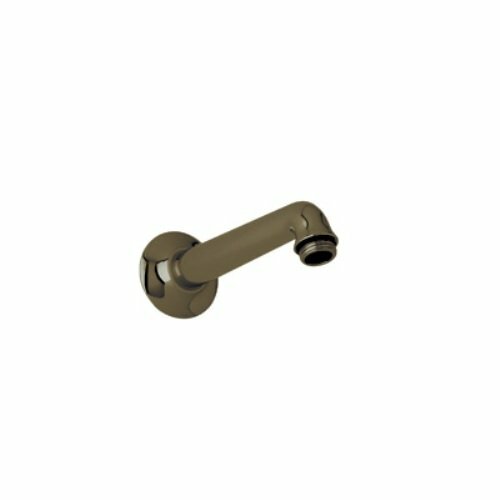 C5056.2TCB Finish: Tuscan Brass Features: -Arm only 7 1/8. -1/2'' NPT female inlet, 1/2'' NPT male outlet. -0.5'' Male/female NPT inlet. -Brass construction. Application: -Shower. Product Type: -Shower arm/Wall union. Dimensions: -Shower arm dimensions: 7.13''. Overall Height - Top to Bottom: -2.125". Overall Width - Side to Side: -7.125". Overall Depth - Front to Back: -2.125".